Survivalism can be practiced at its very best when you are reusing or recycling materials. To go ahead with the same, here are 10 rocking ideas. They will definitely help you be an efficient survivalist. You can create a wonderful garden by using plastic bottles, which are available almost everywhere. 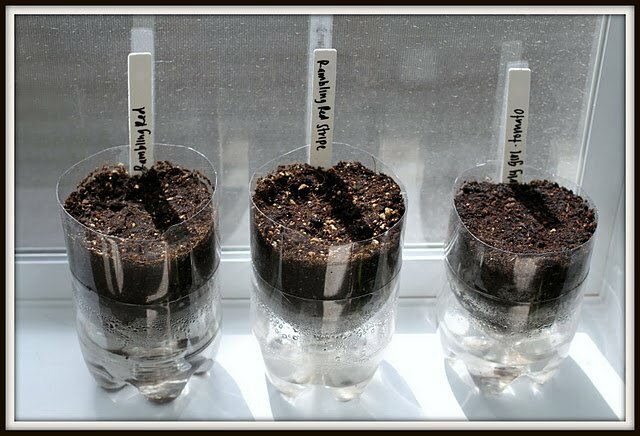 A plastic bottle garden can be built along a fence wall, in a balcony, as well as within your apartment. It is very efficient and offers high food security. Take any old jar that used to contain jelly or home-canned food. Next you will require some wax flakes, for which you can buy soy wax at a very cheap rate. Finally you need some wicks and tabs. In order to prepare your candle you need to boil the wax, pour it in jars, cool it and place wicks at the middle. There are in fact a number of ways to start a fire and this is one of them. It is a very simple project requiring only some cotton balls and a petroleum jelly, both of which you need to put in a zip lock baggie, for use as required. You can simply turn a hacksaw into a knife. Additionally, you need paracord with which you need to wrap the handle. Obviously, a grinder or a metal file is also required for grinding and filing the edges of the saw. The slingshot can be a very handy survival weapon. If you possessed a slingshot as a kid, just take it and design your own handle, or make the existing one a bit different. Do you have an old oil drum? It can be easily modified into a stove and can serve the dual purpose of cooking as well as heating. Cinder blocks or empty cans can also be used to create this kind of stove. This survival weapon was used long back by Paleolithic hunters against wild animals and enemies. You can create your own spear using a broom handle and a knife. Do you have old bicycle tubes? Then you will have absolutely no difficulty in making ranger bands. It makes an effective survival gear. 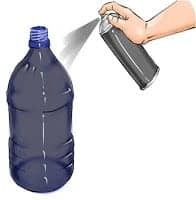 If you have an empty large-sized plastic soda bottle, completely coat it with black spray. Pour water, place it in the sunlight and you are done. If it’s winter, you can place the bottle close to a radiator. Do you cigar comes in a tube? Then you have the major part of the tool ready. If there’s no tube, a 6-inch long wooden dowel can also serve your purpose. You also need some fishing line to be wrapped around the tube, whose inside can be used for flies, sinkers or hooks.